Single Pole Power Connectors - Eastern Connector Specialty Corp. The MOG Power Series connectors, provides a revolutionary and superior design with a long list of features and benefits for oil, marine and gas applications. 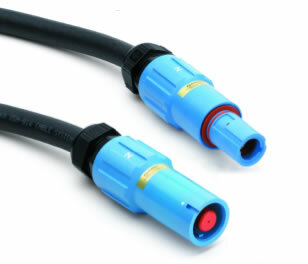 The single pole, high amperage connectors accommodate cable sizes ranging from 2/0 AWG to 535 MCM cables including the latest generation of Type P drilling cables, per IEEE 45. This connector series provides a proven secured locking coupling system and a field repairable contact system that rivals other similar power connectors. In addition, the smaller connector footprint allows greater use of the equipment panel while providing an organized connector area. The MOG Power Series provides the highest level of quality, efficiency, reliability and safety for oil field power distribution use. Consult the factory or contact one of our sales representatives or distributors to demonstrate this innovative design.